Torus Capital is a proprietary trading firm specializing in options and futures across a broad spectrum of exchanges and products. Founded in 2004, Torus was built on the foundation of numerous years of experience in the derivatives industry primarily spanning from the floors of US Options Exchanges where the partners were designated primary market makers in equity options. 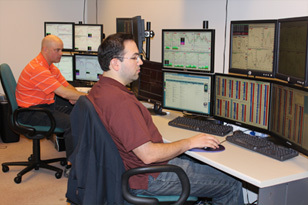 With their extensive experience and knowledge in hand Torus Capital was created as an off floor electronic trading firm. With our proprietary models and superior risk management we have been able to deploy our strategy across many different exchanges and products taking advantage of the mispricing of assets and volatility. Employing the highest quality traders Torus Capital has created an unparalleled environment geared towards success and learning.